Whether you run your business alone or you manage a team of instructors, our driving instructor sites will scale up or down to meet your requirements. A professional driving lessons website for your job as a driving school instructor could add a new dimension to your business. We have already designed a car business logo for you and provided learner plate pictures. However, if you prefer, you can add your own driving school logo. We provide international web design templates, with pre-designed schemes for the UK, Ireland, Australia and New Zealand and they can easily be adapted for the USA and Canada. If you want to learn more, we have prepared a driving instructor website with links, resources, tips and advice to help you get started and build a driving school site. 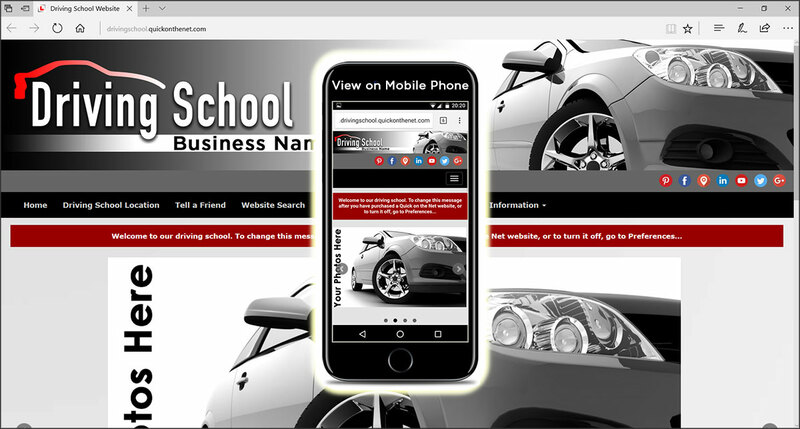 Using our website service, you can use PayPal to take online payments for driving lessons and gift voucher sales from your own customers. Presented in a red and white gradient on a black background with a red learner plate, we have already designed a car logo for your driver training business. However, if you prefer, you can add your own driving school logo. Driving school red L Plate logo web design template presented in red, white and black colours. Driver training websites for your motoring business. 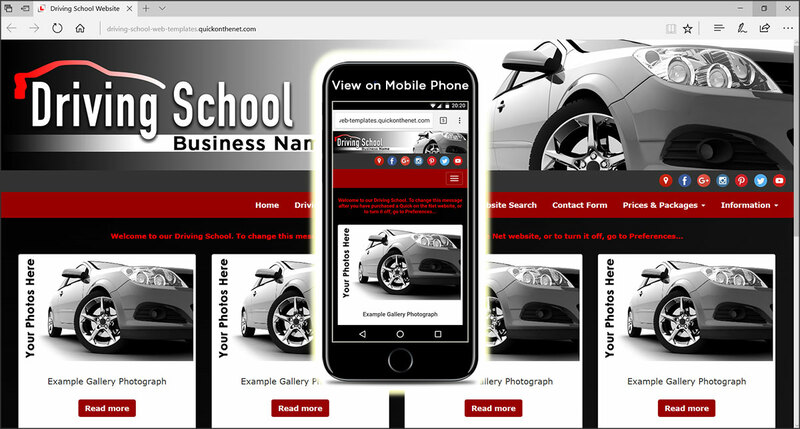 From the moment you sign-up with us, you might be interested to know that your website and its web template already uploaded and hosted. To get started, you can buy this web design template and the price starts at only Australian $16 per month (other currencies on offer: £7; US $11; Euro €9; Canadian $14). For Driving Schools in Australia, we offer 3 creative solutions, based around the classic yellow learner L Plate icon, a modern car wheel image and an engaging car logo. For Driving Schools in New Zealand, 3 professionally designed website solutions (based on the yellow L plates) are available for your driving school business. We can accept your payment in Australian Dollars or US Dollars.